28 times during The River Tour . First ever Springsteen performance of "Trapped", played in an arrangement that is wildly different to Jimmy Cliff's original. "Trapped" was also soundchecked, with Bruce and the band spending some time working on the instrumentation. 74 times during the Born In The U.S.A.
06 Aug 1984 version of trapped was released on the various artists album We Are The World in 1985. The live 06 Aug 1984 version of Trapped was first released in 1985 on the various artists charity album We Are The World in 1985. 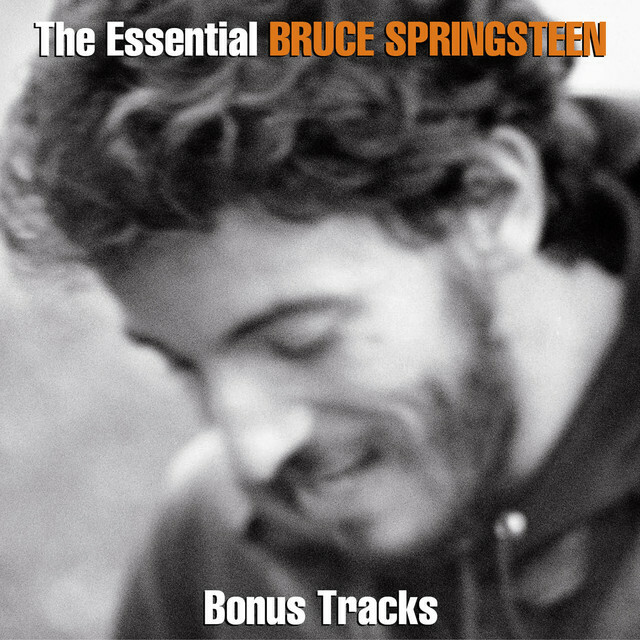 The live 06 Aug 1984 version of Trapped was included on The Essential Bruce Springsteen (2003 3-disc edition) compilation album. Bruce Springsteen's liner notes in The Essential Bruce Springsteen album booklet: Written by Jimmy Cliff, one of the great masters of reggae and cut live on "The River" tour.This, of course, is an error. The released version of TRAPPED was recorded during the Born In The U.S.A. Tour, not The River Tour. In preparation for Amnesty International Human Rights Now! Tour, TRAPPED was practiced on 01 Sep 1988 at Wembley Stadium in London, England, during the only known/confirmed private rehearsal prior to the tour's start. The song was not played on any of the tour's regular dates. The live 28 Jun 2009 version of Trapped was released on the London Calling: Live In Hyde Park home video in 2010. With Jimmy Cliff and his band. This is an interesting seven-minute performance utilizing Cliff’s original arrangement of the song (i.e., some alternate lyrics and totally different melody to Bruce’s more famous cover version). 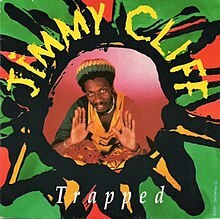 "Trapped" is a 1972 song written and recorded by reggae artist Jimmy Cliff and it was Bruce himself who help popularizing the song in the 1980s. The song was released on Island Records and backed with "Struggling Man". "Trapped" was arranged by Del Newman and produced by Cat Stevens. Cliff had recorded Stevens' "Wild World" a couple of years earlier, and here Stevens assembled a production recalling those found on his 1967 album Matthew and Son. Writer Dave Marsh has termed the lyric "a cruel and vivid crescendo that build[s] to the point of snapping and end[s] each verse and chorus with an expostulated 'Trapped!' In the view of music writer Dave Thompson, the success of Springsteen's "Trapped" help improve Cliff's visibility, along with the Jamaican's direct involvement in the same year's Artists United Against Apartheid. Cliff re-recorded "Trapped" for release on his 1989 album Images. Cliff performs the songs in his concerts, often sounding fairly close to the Springsteen version in some of his singing, although the music remains definitely his. "I remember when I was growing up...I was in high school, all the...everybody couldn’t wait to get out, all the guys were quitting school to get a job and get some money in their pockets...and we had this glass...there was this glass factory on the outside of town ...a lot of guys used to go out and try to find a job there...and...I remember...when I got older, I tried to think back...and I realized that my dad, he worked in a factory and that his dad did...and if I hadn’t been lucky, it would’ve been the same thing...for me ‘cause there’s a circle that just keeps going on and on and on...it’s real easy when...you come from a certain place to end up...you end up a victim of something that you don’t even know what it is, you know...and...when I was in high school, I remember...I never, I never...liked history, I hated history class, you know (crowd cheers) but about six months ago I bought this book when we were over...I guess we were over in Europe and it was called The History of the United States...and if you read that book...from cover to cover, you can see that there’s some very strange writing on the wall...and...unless you get a chance to understand the, the forces and the things that are gonna shape your life...you’re gonna be... you’re gonna end up, you’re gonna end up trapped..."
According to Dave Marsh's 1987 book Glory Days: Bruce Springsteen In The 1980s, while on the European leg of The River Tour, Springsteen purchased a cassette tape of Jimmy Cliff music in Amsterdam Airport Schiphol in late April 1981. He discovered 'trapped' on it and decided to incorporate it into his act, making an arrangement for the E Street Band that replaced the reggae rhythm with a straight rock one. Springsteen's take on the song was first performed on 29 May 1981 in London, UK. It would then be performed during most of the remaining dates of The River Tour, as well as much of the Born In The U.S.A. Tour and World Tour 1992-1993 dates. The song was also occasionally played on later tours with The E Street Band. 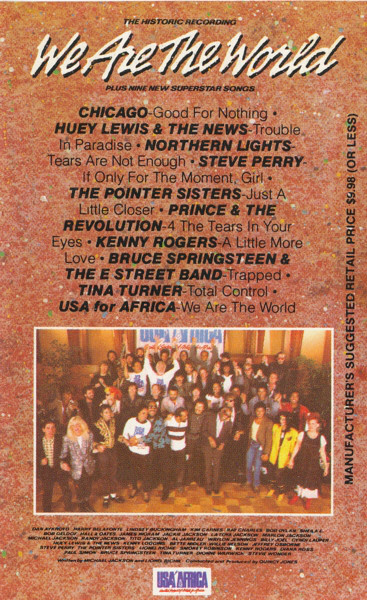 The live 06 Aug 1984 version from East Rutherford, NJ, was included on the 1985 charity album We Are The World. "I look at it as a compliment," Jimmy Cliff told The Arizona Republicnewspaper in 1988 regarding Springsteen's version of his song. "He's an artist in his own right and he's written a lot of good songs, too. It's good when an established artist docs your work and does it in his way." He added, "From a commercial point of view, I didn't gain from ['Trapped']. All the royalties were donated to the cause, and I gained in the moral sense that I have done something for the cause."